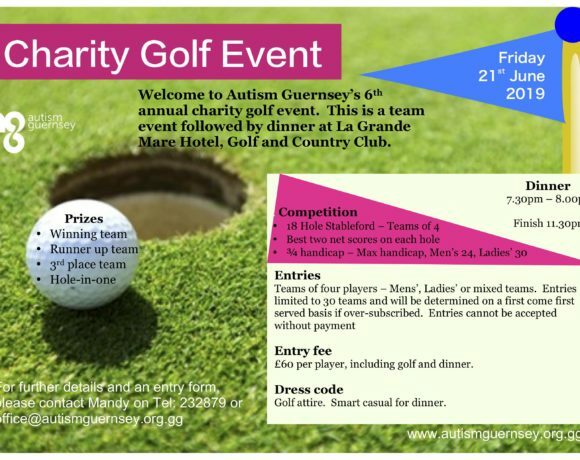 Welcome to Autism Guernsey’s 6th annual charity golf event. This is a team event followed by a 3 course dinner. Teams are of four players, but if you do not have four we can always find you players to make up a team. 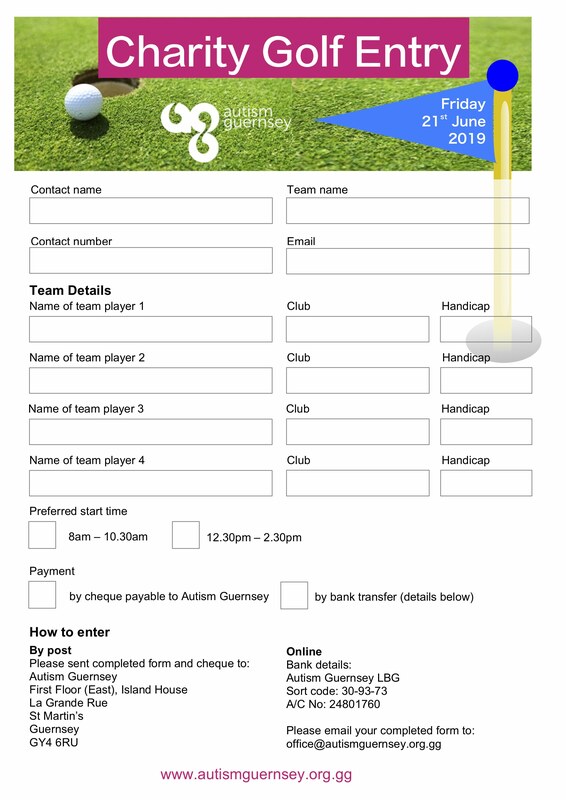 Prizes for winning team, runner-up team, 3rd place team and hole-in-one. 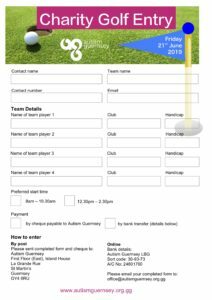 The entry fee is £60 per person to include the golf and dinner. Dress code: Golf attire, smart casual for dinner. 18 hole Stableford, best two net scores on each hole. 3/4 handicap – max handicap, Men’s 24, Ladies’ 30.